The foundation for today's Retsch Technology GmbH was laid in 1998 when a new business unit was created within the RETSCH GmbH. This unit added a new component to the traditional product range for sample preparation and characterization of solids: optical particle measurement. Dynamic Image Analysis (DIA) is a modern high-performance method for the characterization of particle size and particle shape of powders, granules and suspensions. Retsch Technology's optical analyzers CAMSIZER P4 and CAMSIZER X2 are based on this technology, covering a measuring range from 0.8 m to 30 mm. 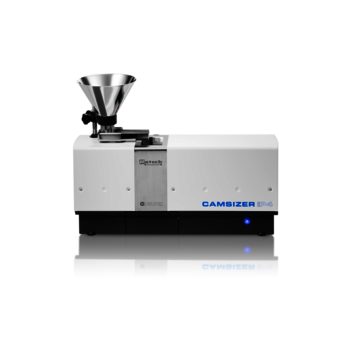 The quality control of fine powders can be substantially improved with the new CAMSIZER X2: More precise and faster analysis of particle size and particle shape helps to improve the product quality, reduce rejects and save labor costs, energy and raw materials. 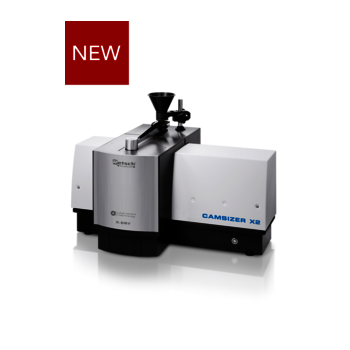 The design of the CAMSIZER X2 is based on the well-proven optical particle measurement system Camsizer but is optimized for finer samples (from 0.8 m to 8 mm).